Placenta encapsulation. Should you do it? Why would you want to eat a placenta?! A fresh placenta picture! I'll admit, it doesn't look that appetizing. But what an amazing organ! 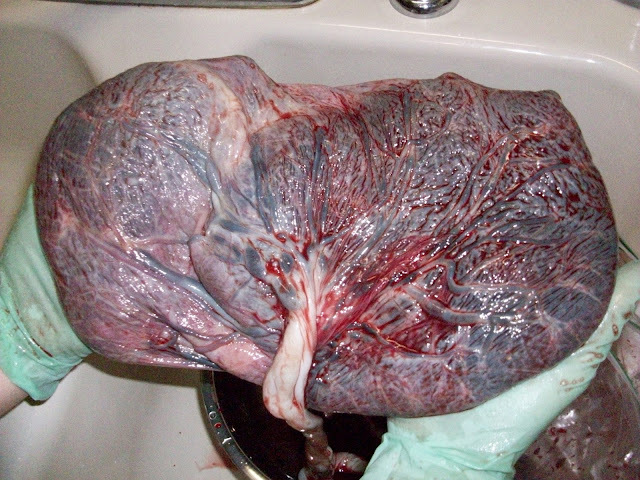 Notice the membranes or "bag" where the water and the baby were housed inside and next to the life giving placenta. If you are starting to research birth related stuff this subject will eventually come up. It might be trendy, but more and more women seem to be touting the benefits of consuming their own placenta in some way or another. Placentophagy or consuming the placenta can be done in a variety of ways. Some women prefer the Chinese method which involves cooking the placenta in herbs before dehydrating it and encapsulating it. 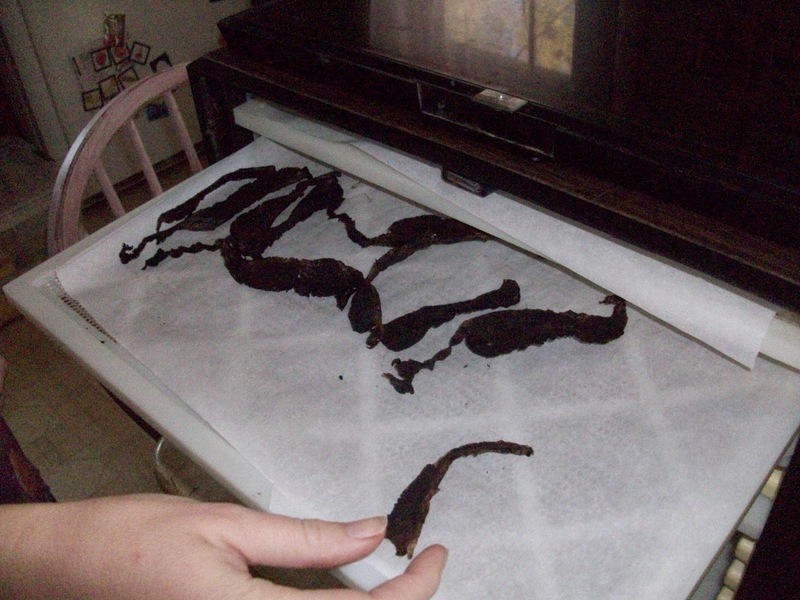 Some women dehydrate the placenta raw and then encapsulate it. Other simply cut the placenta into chunks and freeze it so that they can easily be popped into a smoothie each morning. 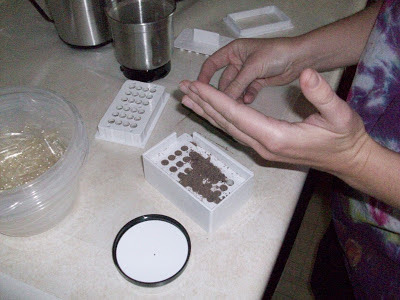 This post contains step by step pictures of the process of placenta encapsulation. This is a great encapsulation tutorial for those interested in encapsulating their own placenta or for those who are simply curious about the process. I wrote about my own journey with placenta consumption some time ago. I had always found it disgusting and never wanted to do it. However, my fourth pregnancy in about six years changed my mind and I actually ate my placenta! You are welcome to read about the difference placenta consumption made for me (it was night and day- I was so incredibly happy.) But today I want to talk about HOW you encapsulate a placenta. Thanks to my INCREDIBLE readers I have tons of beautiful placenta pictures. There are also many pictures of the encapsulating process. Sit back and enjoy- this is an incredibly informative post if you are interested in having somebody encapsulate your placenta for you or if you would rather do it yourself. I am so grateful for all the women who donated their many and INCREDIBLE placenta pictures for this post. So many placenta pictures! First- Pictures of the encapsulation process from start to finish. This mama chose to cook the placenta before encapsulation. 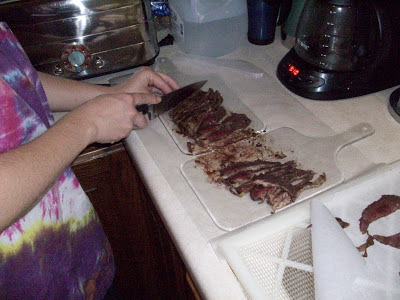 She used the Chinese method (you will notice some herbs in the cook pot) and said that it "worked wonders!" Take a look. The tree of life! Can you believe that our body makes and then disposes of an organ, all in about nine months time! Women are amazing! Cooked! In a steamer. Notice how the color has changed. Cutting up the placenta before dehydrating. Placenta ground into a fine powder for encapsulation. You can do this any number of ways, from a mortar and pestel to a Vitamix. And finally, after encapsulating the placenta- little, easy to consume vitamins! Now this next picture is a little collage that shows the entire process in one quick picture. 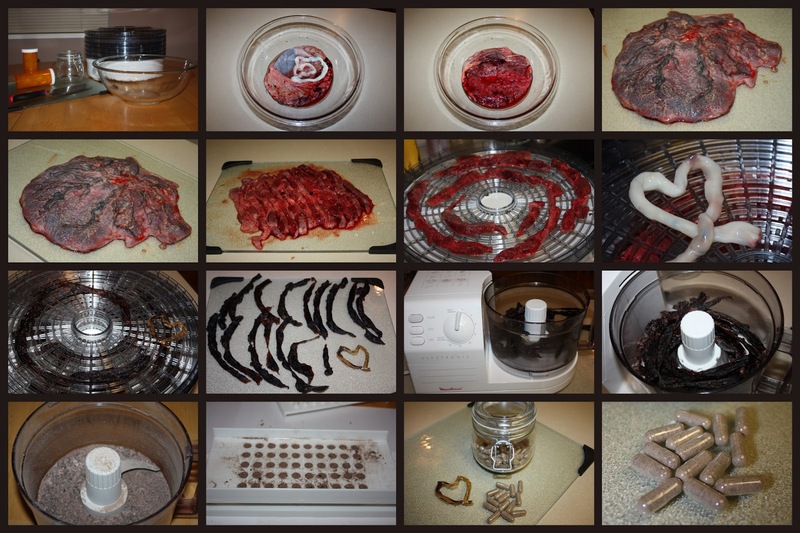 Notice in the first frame all the supplies ready to go (this is really helpful to have ready)- bowl, containers for the finished product, cutting board, sharp knife, and a dehydrator for the placenta. 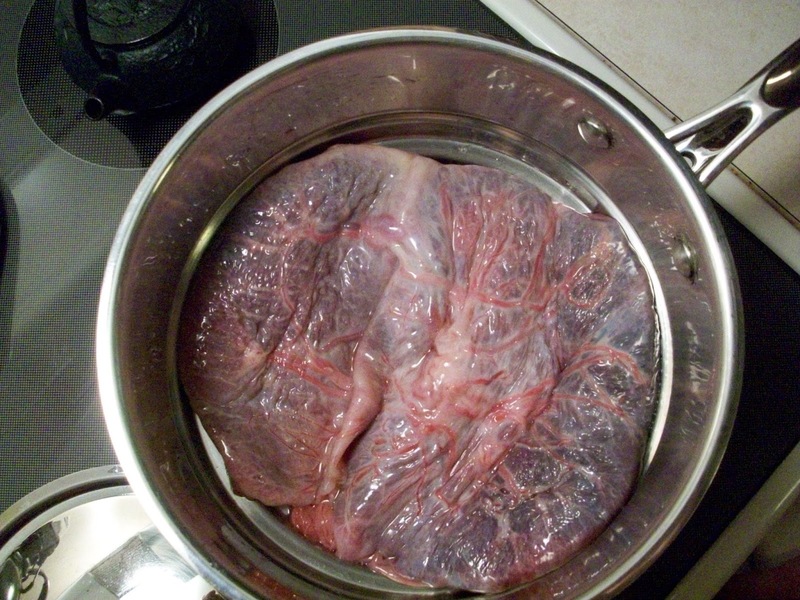 She shows the placenta, (both sides of it) a bowl is great because you will want to rinse it well. 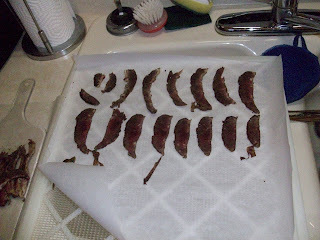 Cutting it into thin slices and then placing it on the dehydrator. It doesn't take as much room as you would think. 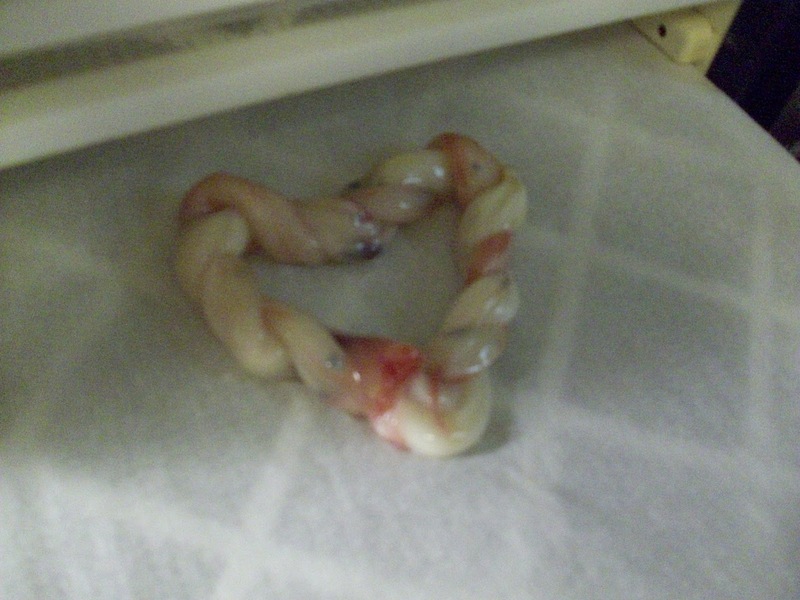 Ahh... a little umbilical cord heart! If you choose to hire somebody to help encapsulate your placenta they often do little things like that. Then on the third row you can see how different and much smaller the dehydrated placenta is. Then, grinding it into a fine powder in a food processor. The second frame on the bottom is the powder in an encapsulator. An encapsulator costs about 20 dollars and you can get them online or at a health food store if you choose to do this yourself. Encapsulating it self involves putting the capsules into the encapsulator, filling and then combining the top and bottom of the capsule. That does require a little bit of time and is nice to have somebody else do since you just had a baby. And finally- the pills! Easy to take the placenta pills if you just think of it as a supplement. This next set of pictures of placenta encapsulation are also incredible. The mom attached this note along with her beautiful pictures. 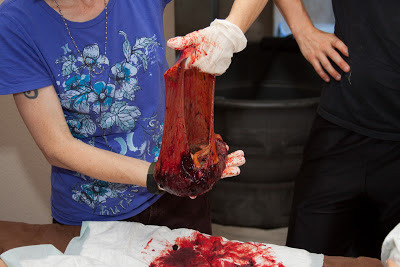 "This is my second sons placenta. He had a dual lobe and weighed in at just over 2lbs total! His cord was over 4ft long, I'm really surprised he didn't get tangled up in it as active as he was. His sisters had a weird abnormality to it too. This is his encapsulation process from cleaning to encapsulating. After I had his done, and had a transformative postpartum period, so different from my 1st, I got certified to do it for the local moms here. I did my daughters this summer while wearing her :) Our first mother/daughter craft project!" Love it! And you don't see a dual lobe placenta every day. So grateful she shared these with us! And props to her for doing it herself AND for going on to help other women with it. 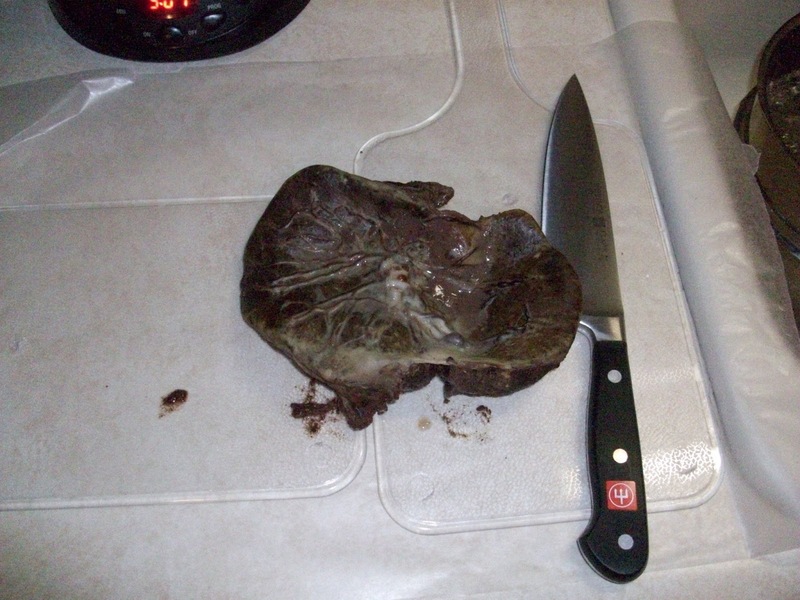 WOW- a two lobed placenta! And that is one long umbilical cord. Cord shaped as a heart for dehydrating. 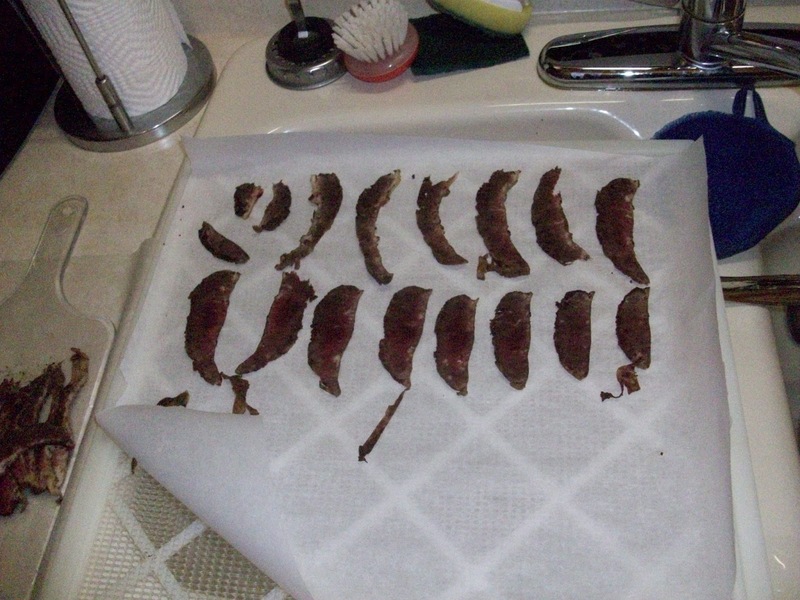 Cutting the placenta into thin slices and placing on the dehydrator on some parchment paper. 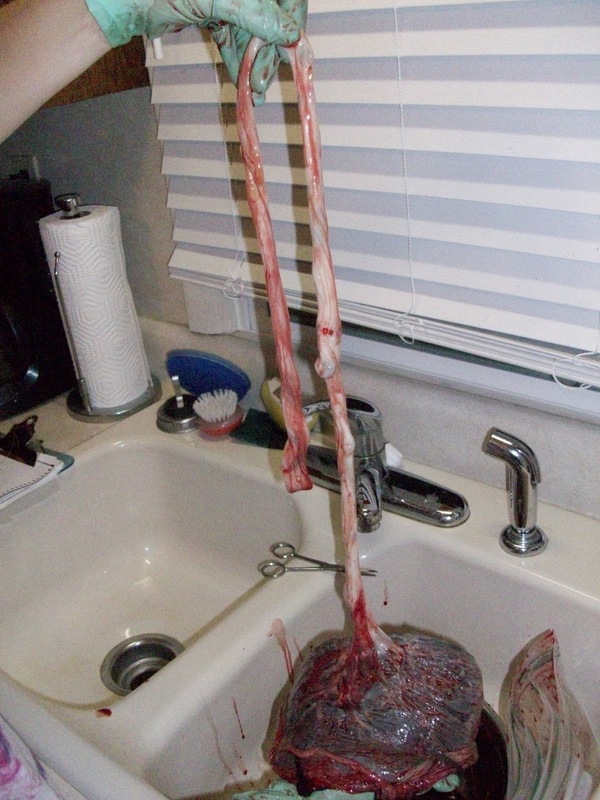 Placenta after it has been dehydrated and is ready for being ground to a powder. Grinding the pieces into a fine powder. 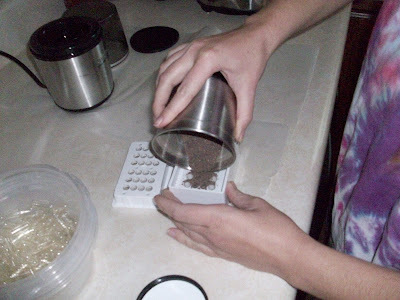 I am not sure what she used here, I used a spice grinder and it worked perfectly and looked a lot like this. Just a few pieces at a time and that was done in just a few minutes. Great picture showing the placenta powder being poured into the bottom half of the capsules. The other half of the capsules are in the half of the encapsulating tool to the left. 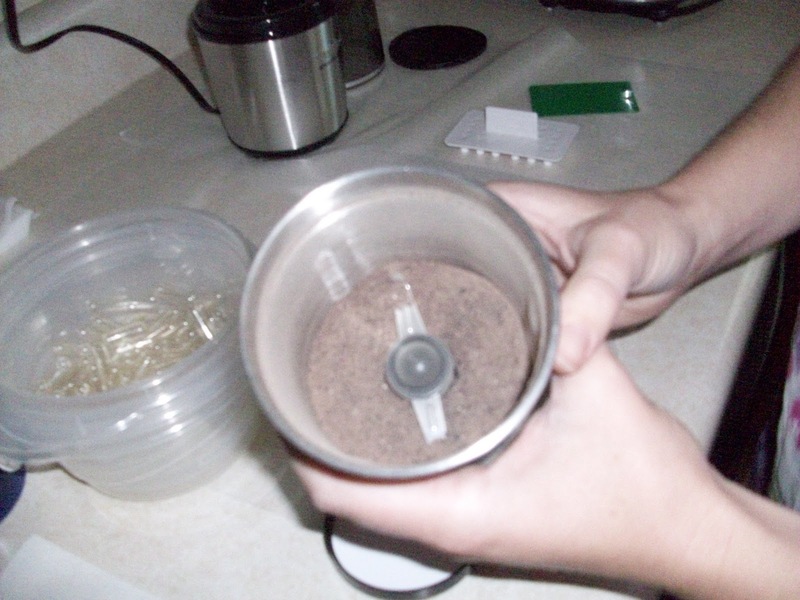 You then use a flat plastic tool that comes with the encapsulator to help tap in all the powder, and push any extra back into your bowl for later. Now- there are many things you can do with a placenta besides EAT IT. This mom had hers painted and made placenta prints. How cool is that? You can totally see the tree of life! This is what helped feed that baby! So- Was that incredible or what?! I have never seen so many awesome placenta pictures in one place. But guess what? I have more. The next post (stay tuned) will be of a battledore placenta and some more pictures of encapsulation. I love this stuff! Nothing wrong with paying to have it done! The first few days are so overwhelming and it does take some time just standing there. I don't necessarily recommend that you stand and do it yourself. But - I have had people curious about the process.